10.00-10.20 Preparing for IPO.The Independent Engineers Report and how it sits in the context of the IPO process. 10.20-10.40 Computerised geological modelling – how to maximise the benefits. 10.40-11.00 Evolution of geotechnical evaluation. 11.00-11.20 Developing mines for Kazakh and international requirements. 11.20-11.30 Objectives of the State committee on Reserves of Republic of Kazakhstan. 12.00 – 12.05 Development stages of mining enterprise. 12.05 – 12.25 Use of modern techniques and equipment for the study of technological properties of ores and the development of efficient technologies of ore processing. 12.25 – 12.40 Metallurgical technologies of processing thrust concentrates. 12.55 – 13.10 Turnkey integrated technological solutions. 14.30-14.50 Financing of mining companies through IPO. 14.50-15.00 Listing requirements and IPO process overview. 10.45 – 11.00 New development trends in mining industry. 12.00 – 12.15 Fiscal regulation of mineral exploration and extraction in Kazakhstan and Central Asia. 12.30 – 12.45 The World Bank's role in mining sector reform - drawing from international experiences. 12.45 – 13.00 Implementation of transparency initiative in mineral extractive sector in Kyrgyzstan. 14.45 Investment opportunities in mining and metals sector of Kazakhstan. 15.15 International tender for the development and exploration of the Konimansuri Kalon silver, lead and zinc deposit in Tajikistan. 15.30 Kounrad Project: Introducing an Advanced Dumps’ Processing Technology in Kazakhstan. 15.45Mineral processing pilot plants using drill core to better represent a deposit. 16.00 Raising the technological level of mineral exploration. 16:00Supply of technological equipment and reagents for mineral processing. Key issues. 16.45 International cooperation on development of uranium and rare earth metals and creation of high-tech industries in Kazakhstan. 17.00 Current state and future of rare earth metals mining in Russia. Vladimir Servetnik, Director for Non-Uranium Projects, Atomredmetzoloto Uranium Mining Co. 17.00Implementation of advanced environmental technological process in mining and metallurgical activities at Kazzinc. 17.15 Fletcher Newton, Executive Vice President, Strategic Affairs, Uranium One 17.15Corporate Responsibility and CIS Mining Industry. 17.30 AREVA's strategy in Central Asia. Jacques Peythieu, Vice President, Strategy and Development, AREVA Mining Business Group 17.30Undertaking Environmental and Social Assessment of Projects to comply with Kazakh standards and international requirements for project financing. Kalilallo Baitasov, Manager, Technology and Research Development Dept., JSC NAC “Kazatomprom” 17.45Mining industry: non-technical social and environmental risks. Vladimir Savin, Deputy Project Director “Yermakovskoje mine”, MBC Corporation 18.00Problems of closing (conversion to gold mining) of mercury mines. 12.00 – 12.15 Where East Meets West. 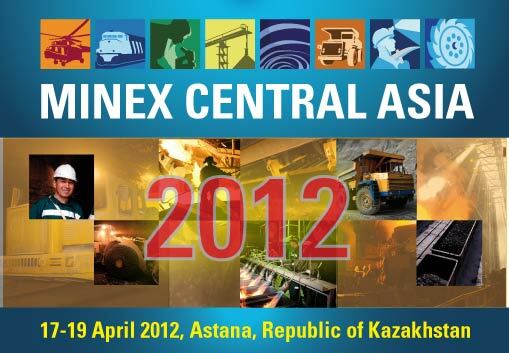 Financing Mining Projects in Central Asia. 12.15 – 12.30 Maximising asset value for IPO. 12.30 – 12.45 The importance of having the right International Holding Structure for IPO. 12.45 - 13.00 Key credit consideration for rating mining companies. 14.30 – 14.45 Mining project management: realities and perspectives. 14.45 – 15.00 Resources, reserves and classification issues. 15.00 – 15.15 Advanced technologies for the passage of mine workings and linings optimisation. 15.15 – 15.30 Mining and logistics control systems: current status and development prospects. 15.30 – 15.45 Key aspects of improvement of economic efficiency of mining projects. 15.45 – 16.00 Production of high quality copper by solvent extraction.